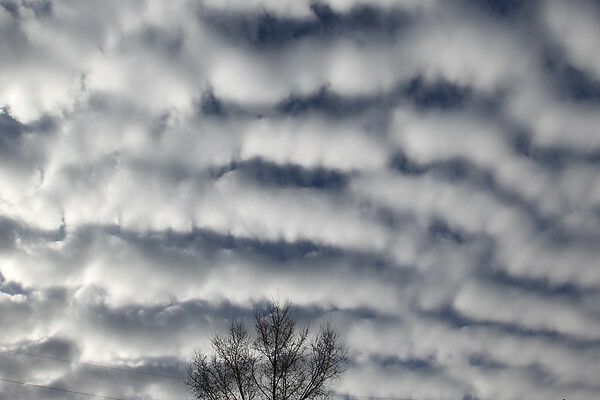 A "mackerel sky" hangs over Traverse City on a balmy Saturday afternoon. The altocumulus clouds get the name when they are arranged in a pattern that has been compared to the scales of a mackerel. In the winter, this can mean upcoming snow, which is forecast for Sunday as temperatures drop back into the 30s.